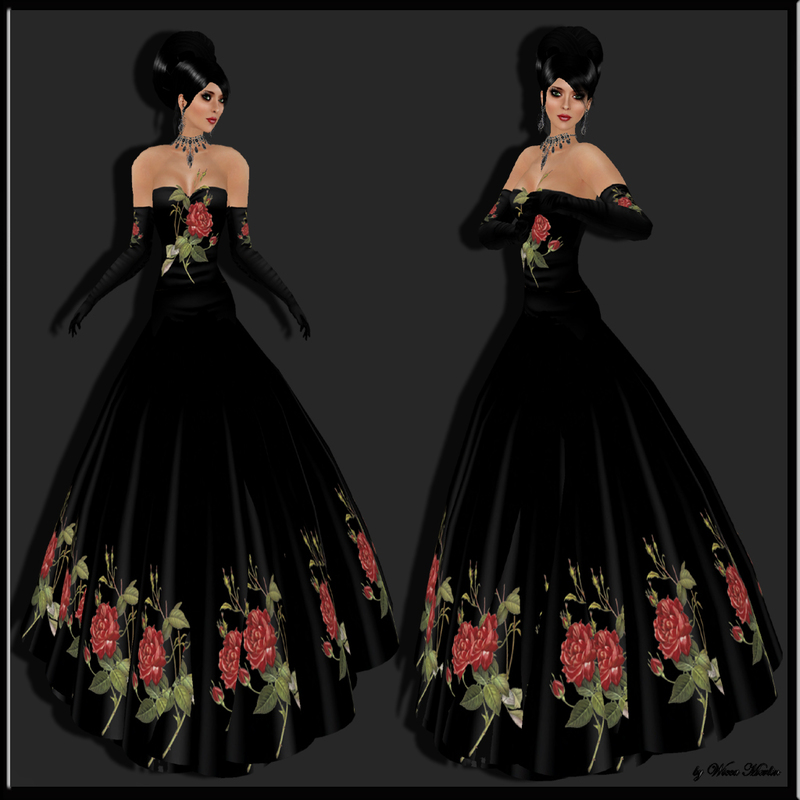 Elegance with Roses – B! Fashion again created a wonderful romantic gown! Amazing news from B! Fashion. A wonderful gown with the great name “Botanica Rosa” arrived at the B! Style store. Elegant and sophisticated – the perfect look for a lady. the amazing rose patterns are very detailed and with love to real looking textures. 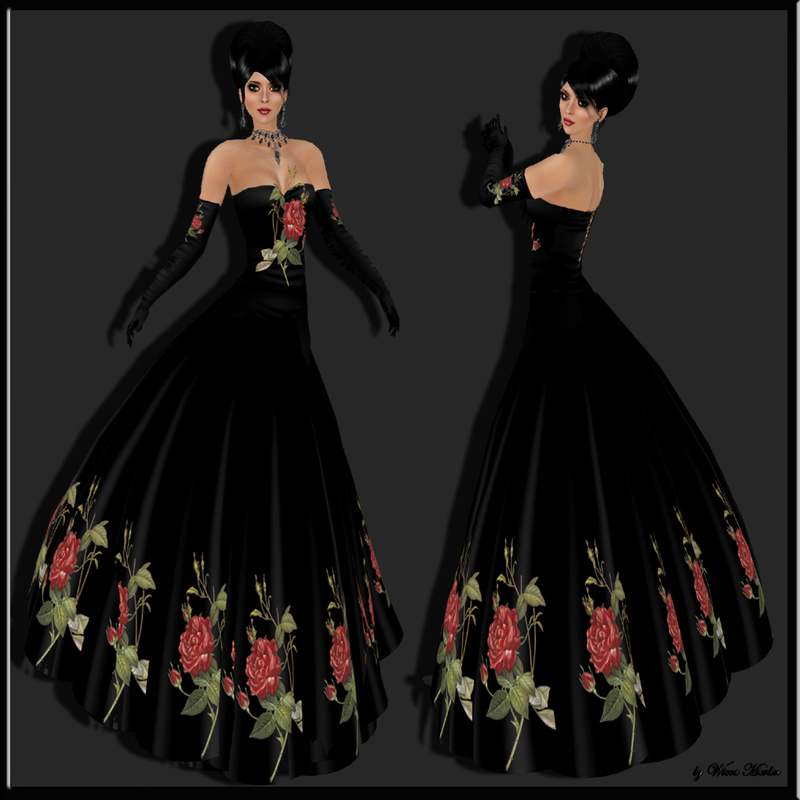 The gown it self has a black basic color that highlights the roses perfectly. The top is shoulder free and you can wear every kind of necklace to this gown. The awesome gloves also carry the great roses and give a very classy touch. The skirt is made wonderful flexible and it caresses your legs with every step you take. Also here the rose pattern ornaments the bottom seam. As this is not the only new release you shoudl make your way to the B! Fashion Mainstore and see all the other amazing designs. This entry was posted in Fashion, New Releases and tagged B! 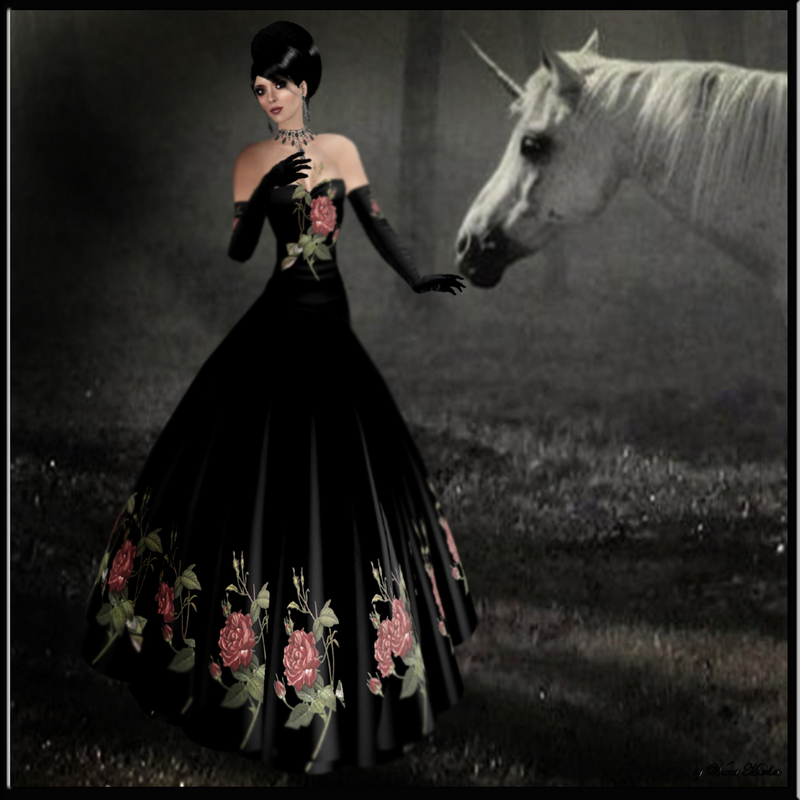 Fashion, Elegant, Evening Wear, Fashion, Female Clothing, Gloves, Gown, italian, roses, Skirt, Style, Wicca Merlin, Womens Wear. Bookmark the permalink. ← Opium Tales – Mannequins…review of a fantastic show and fantastic accessories!! !